Went to take photos of the giant rubber duck the other day. 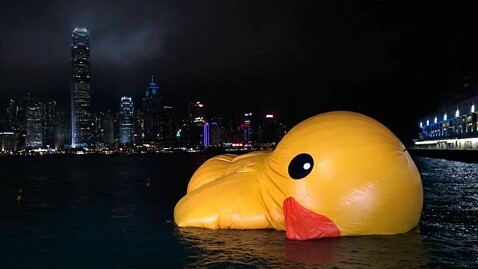 For those who don’t know, there’s a giant rubber duck floating in Seokchon Lake, which is the brainchild of Dutch artist Florentijn Hofman. The exhibit started on October 14th and will end on November 14th. You can get there by going to Jamsil Station (잠실역) and getting out of exit 2. You want to walk south until you see the big duck on your left. Ever since seeing this guy in Hong Kong, I’ve been wanting to shoot it (no pun intended). It was actually quite coincidental that we were in Seoul at the same time and I figured I’d take advantage of my luck and try to shoot it! 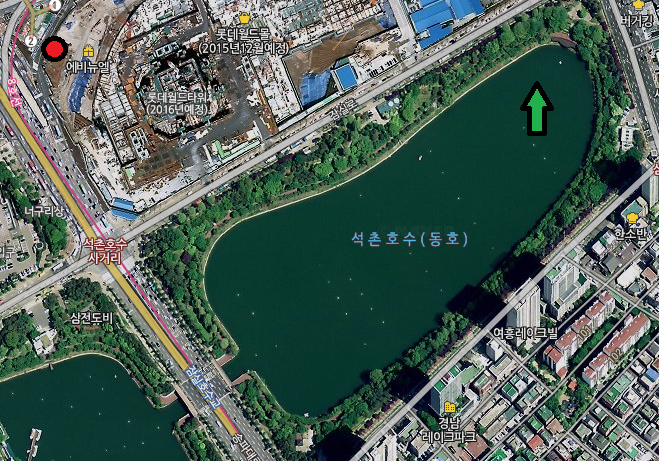 The lake itself is surrounded by an exercising track that goes counter clockwise, but as long as you stay out of the way when walking towards the duck, you should be fine. There were a TON of people, and it was unfortunate that they closed off the deck and had people shoot behind a barricade which made the shoot harder. Not to mention there was a “rude” (cultural difference?) Korean who literally decided to steal my spot I was waiting for when the previous party left.There’s a lot of trees that can easily get in the way, so using a long lens or being good with photoshop is recommended. Taken during the setting sun. I wasn’t exaggerating when I said there were a lot of people! The purpose of the rubber duck ,according to the artist, is to entertain the world and heal people by bringing back feelings of simpler times. That isn’t to say that there is some controversy. However, in my opinion it’s really just a matter of taking all politics aside and enjoying the moment. This bird isn’t going to be here forever, and if you waste all your time being bitter about wrong; you’ll never be able to enjoy the ephemeral things in life.